Brick buttresses to a Byzantine masterpiece; the 6th century Basilica Di S.Vitale, in Ravenna, Northern Italy. 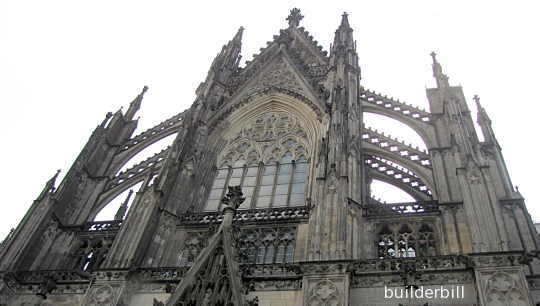 Contrary to popular belief this architectural form did not develop in Northern Europe during the Gothic era. The Romans certainly had a hand in it. There are many examples in Romanesque and Byzantine architecture. 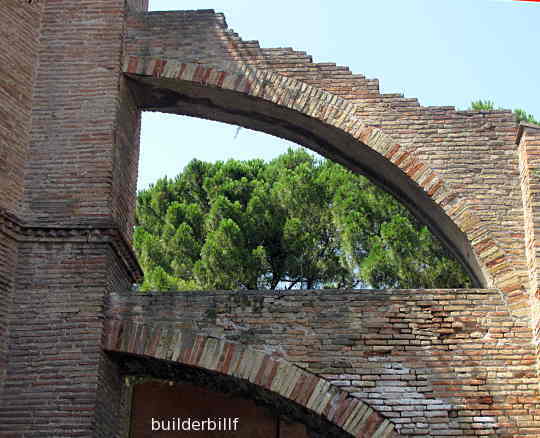 Above are a couple of brick arches between two buttresses that are set at 135 degrees to the walls of an external corner. In effect making diagonal buttresses. 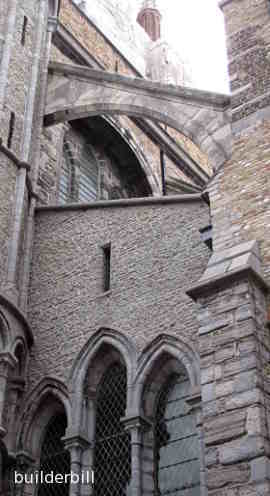 To the right is a small flying-buttress to a church in Bruges, Belgium. It serves to illustrate the reason for these buttresses in the first place. It is to reach over the top of the roof of the aisle to support the higher walls and roof of the naive. 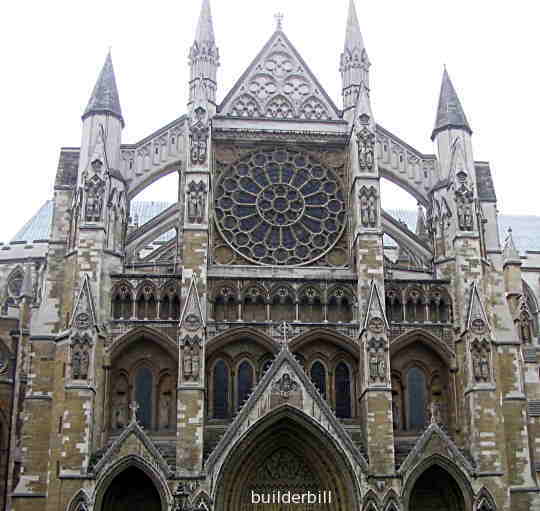 Below is the facade over the North entrance to Westminster Abbey which has it's origins going back to the 7th century, but most of what we see today dates between 1245 and 1517 give or take a touch and with some later additions. 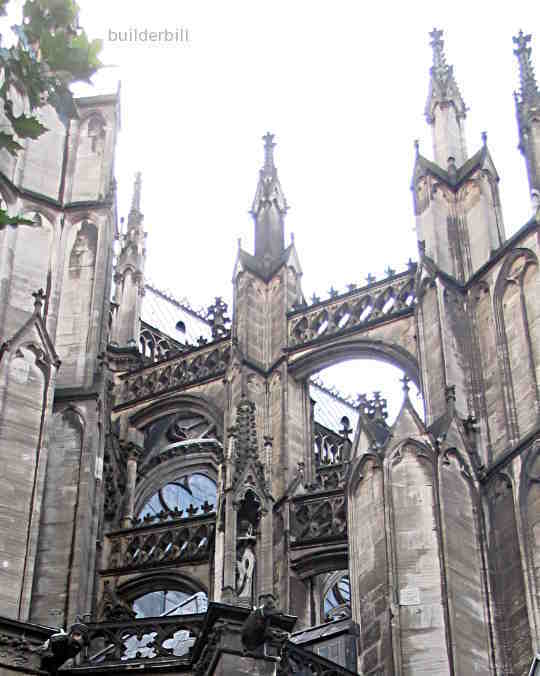 Under that is a couple of shots of the fine flying buttresses of Cologne Cathedral in Germany. There must be hundreds of these around the building all finely carved with tracery panels sat on top of them.